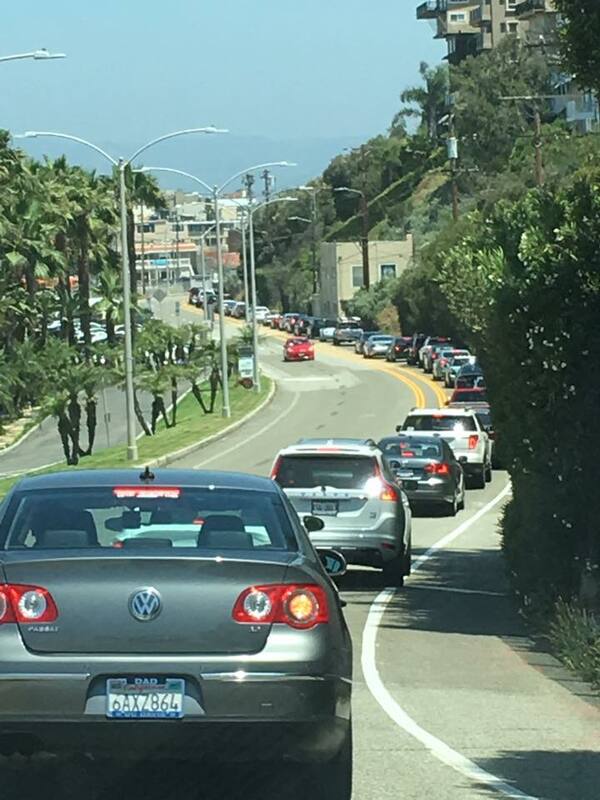 In June, the City of Los Angeles and Councilmember Mike Bonin, drastically reduced regional connecting streets, including Vista del Mar and Culver, halving the lanes from two to one (with more lane reductions coming). We’ve already begun the organizing to fight back and now we need your help! We need your donation to submit freedom of information requests to get the necessary data and figure out how this got rammed through so quickly. We are also moving to file legal injunctions, but we can’t do that without your immediate support. While there are plenty of options that can make our roads safer, no options were studied or discussed before these changes suddenly occurred. We are pro-safety, but also in favor of fact-based open government. In these closures, there was not a regional public planning process nor adequate impact studies. However, one study we have seen predicts significant impacts to Culver Blvd and Pershing, but was ignored. The City of LA does not or will not share any baseline data to evaluate the impact of the changes and did not perform an environmental impact report to measure how this lane reduction pushes traffic into new places. The “fire and then aim” approach is wrong for the City of LA and wrong for the region and has lead to them losing lawsuits in the past. 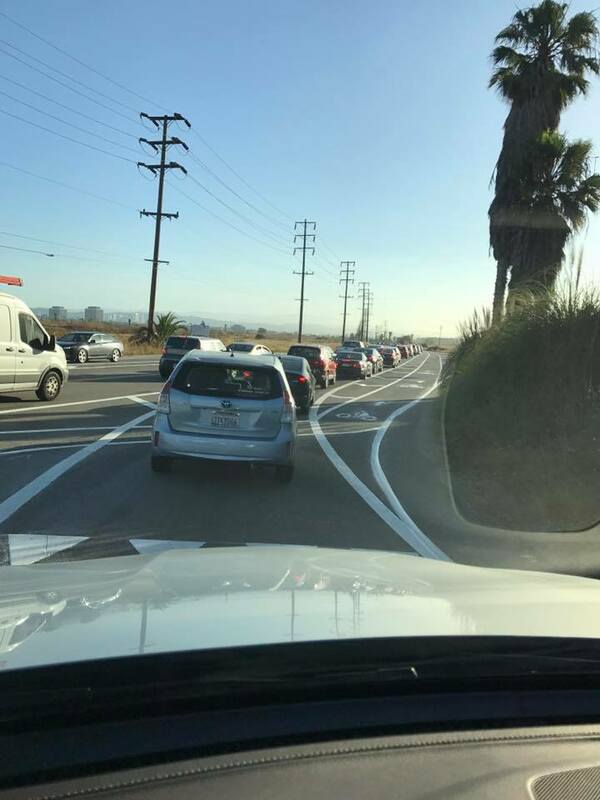 Mayor Garcetti and Councilman Bonin are trying to take shortcuts to safety by reducing lanes on regional connectors. Safety remains a paramount concern for all the families and individuals in this coalition. We know that bad planning causes regional destruction, which we have already started to see unfold. 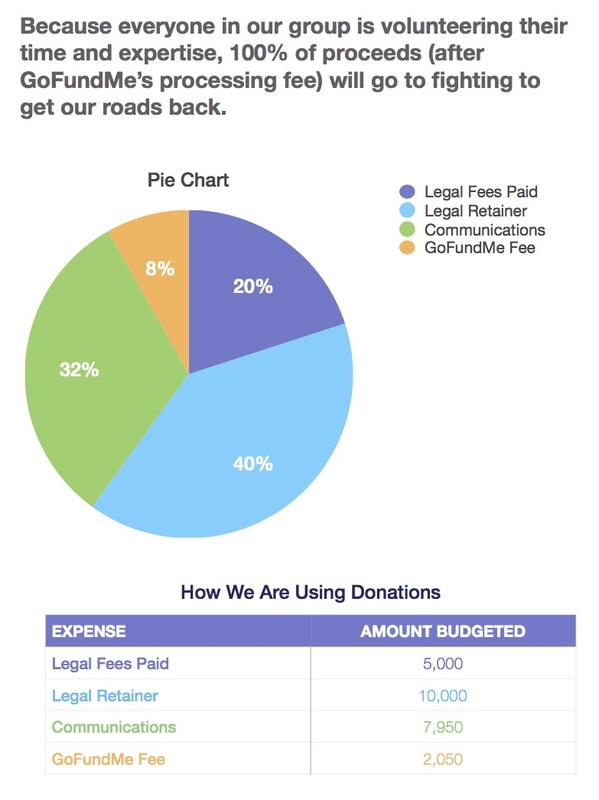 We are hosting this fundraising effort to continue our local campaign to launch a new planning process on a regional connector for safe streets. Please note, that since this campaign started, oour understanding of the scope of this project has expanded. We have changed our name to reflect that, and you will now find us via KeepLAMoving.com. Click on the link for PDR to get information about our fight against Mike Bonin's VDM and Safer Streets for Playa del Rey debacle. 1. Legal: We will challenge the City of LA’s exemptions filed for the changes, but we are up against deadlines this month and need to act quickly. 2. Freedom of Information Requests: The City of LA is stonewalling our ability to figure out what happened. They refuse to say what their criteria for project success is, and they refuse to give us studies of the project(s). They had been sued and negligent on VDM studies for years, then suddenly declared an emergency measure. We think the public deserves the emails and studies behind what happened. 3. Organizing and getting the word out: We will use funds to harness our grassroots power from the hundreds of thousands affected. We will grow advocacy efforts with video production, banners, signs and events to keep this issue front and center in the media. We are a coalition of neighbors in West Los Angeles/South Bay who have come together on our own dime to raise support to put more research into this new plan. After our own research we learned not enough data supported this massive change. What's our relationship to where the funds will go? We're raising funds for our own coalition's activities to fight back. This is a team of neighbors in West LA/South Bay. 100% of the funds raised will be used for services to run this particular campaign. They include attorney fees, advertising and printing costs. We are not spending this money on our time, we're volunteering that. The money will be transferred directly to him. Any amount that does not go toward legal fees and a retainer will be used to cover advertising/printing costs. A full accounting will be published at KeepLAMoving.com. LAST MINUTE ACTION ALERT: Write & Email LA City Councilmembers TODAY! LA City Councilmembers Ryu and Krekorian are proposing a motion at the February 14th Transportation Committee meeting (headed by Mike Bonin) directing the LADOT to refine their implementation of Vision Zero. The motion would give priority to projects having the largest impact on reducing injuries and fatalities for all roadway users. Further, the motion would require the LADOT to validate the data it uses to determine what streets actually are most dangerous. That means any “road repurposing” would have to address actual contributing factors leading to accidents, rather than using the current “take our word for it” approach that has resulted in dangerous conditions and gridlock on streets subjected to road diets. To date the LADOT has focused on "pet projects" in select districts that appease a vocal minority of residents — roads that were never flagged as needing such treatment. Special interests and personal agendas have been allowed to drive decisions rather than actual concerns for public safety. The road diet on Venice Blvd, in Mar Vista is a prime example. In the 11 years leading up to the Venice road diet, there was one fatality and seven severe injuries to people walking or biking along that 0.8 mile stretch. None of the contributing factors to these tragic accidents have been addressed by the road diet. Rather than analyze these accidents and implement real safety improvements fixing the problems, the LADOT chose instead to implement a road diet. They installed a road diet on a road with 45,000+ cars per day, in violation of their own standards. (The LA Complete Streets Design Guide states that road diets should only be used on streets with excess capacity and volume less than 20,000 cars.) The disastrous and wildly unpopular Playa del Rey road diets, defeated last Fall, had the same issues. In fact, in both PdR and Mar Vista, accidents and injuries increased after the implementation of road diets. Not only on the roads dieted, but on the residential side streets as well, as drivers searched for alternatives to the gridlocked boulevards. Tomorrow’s motion states that going forward, Vision Zero should "incorporate a data validation process to ensure that the High Injury Network supporting data was appropriate and reliable.” Currently, data is heavily weighted in favor of pedestrians and cyclists, all but disregarding the safety of motorists. According to LADOT's Vision Zero website: "We also give more weight to counts of Killed or Serious Injuries among people walking or biking, so deaths or serious injuries at all intersections are multiplied by three, while vehicle-vehicle deaths or serious injuries do not receive a multiplying factor. For example, if an intersection contains one fatal pedestrian collision, two severe bicycle injuries, and one fatal vehicle-vehicle, the score would be 10 (3 for the pedestrian, 6 for the two bicycles, and 1 for the vehicle-vehicle)." In the Vision Zero Action Plan, released in 2017, the LADOT states that "people walking & biking account for roughly 15% of all collisions". It’s not surprising then that Vision Zero hasn't reduced accidents and injuries since its inauguration in 2015 because the LADOT is only focusing on 15% of the problem! What’s more, the LADOT says "Vision Zero is an injury reduction strategy, not a collision reduction strategy.” And of course, collisions aren’t being reduced either. Vision Zero needs to concentrate on both reducing the severity of accidents and on the number of accidents that happen! Ryu and Krekorian’s proposal would be a big step in the right direction, effectively putting an end to the misuse of road diets in our city. Please call and email City Council members urging them to pressure the transportation committee to do the right thing and pass this motion to Keep LA Moving safely. I support Councilmembers Ryu’s and Krekorian’s motion to require the LADOT to get smarter about improving road safety and I hope you will, too. This common-sense proposal comes before the Transportation Committee on February 14, 2018. It directs the LADOT to fix the most dangerous streets in LA, instead of wasting money and risking lives on pet projects like the disastrous road diets in Playa del Rey and Mar Vista. Recent SWITRS data shows that in both PdR and Mar Vista, accidents and injuries increased after the implementation of road diets. Not only on the roads dieted, but on the residential side streets as well, as drivers searched for alternatives to the gridlocked boulevards. Instead of these kind of dangerous boondoggles, Councilmember Ryu’s and Krekorian’s motion would give priority to projects having the largest impact on reducing injuries and fatalities for all roadway users. Furthermore, it would require the LADOT to use honest data to determine what streets actually are most dangerous. That means any “road repurposing” would have to address actual contributing factors leading to accidents, rather than using the current “take our word for it” method that has resulted in dangerous conditions and gridlock on streets subjected to road diets. Please let the Transportation Committee members know that you want a smarter approach to making our streets safer and give the thumb’s up to Ryu’s and Krekorian’s motion. IMPORTANT ROAD DIETS MEETING TONIGHT! If you are a PDR/Westchester/Playa Vista resident it is ESSENTIAL that you attend. Wear orange. Sign up to speak!!! And get there by 6 to make sure you don't get shut out. Bonin's supporters are hoping to pack the room with people FROM OUTSIDE OF THE NEIGHBORHOOD to try to make it look like locals want the road diets. We are nearing our goal! Thank, you for helping the fight to roll back the road diets in Playa del Rey. 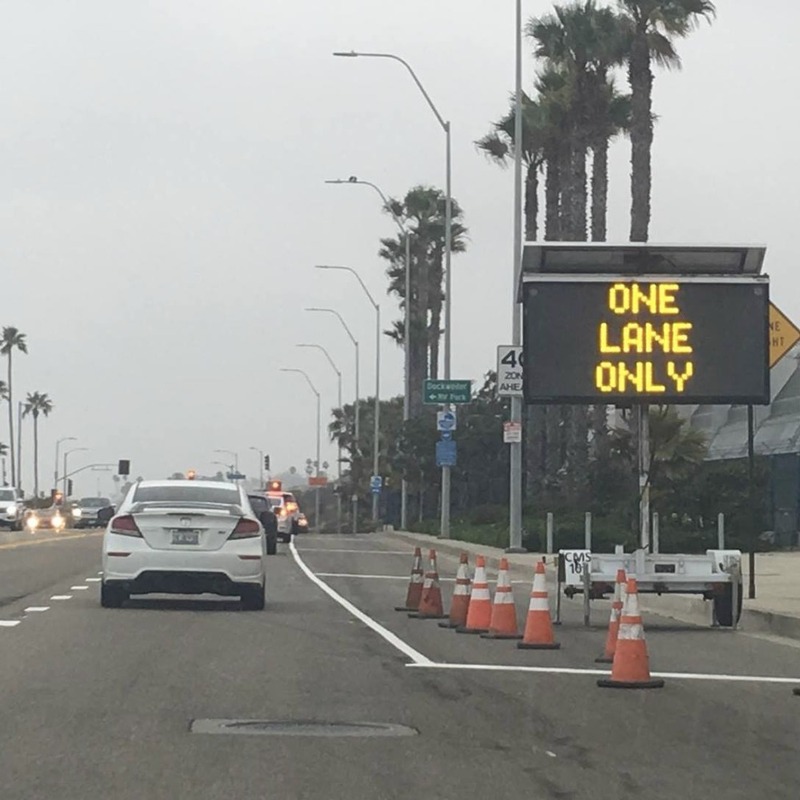 KeepLAMoving has made some progress -- or at least gotten a promise -- that Vista del Mar will be returned to 4 lanes soon. We're continuing to put pressure on Mike Bonin and the DOT, and have made this a high-profile battle in the news. We're putting the finishing touches on the writ that will form the basis of our lawsuit . It's a very thorough document, and we feel very good about our chances. As school resumes in a couple weeks, and traffic ratchets up, so will our efforts. Of course, we need to reach our fundraising goal in order to do that. If you can help by donating a little more or by spreading the word about our group, it will help in the fight. And please continue to call and write the officials who are holding the streets hostage. You can find links on our website, KeepLAMoving.com.